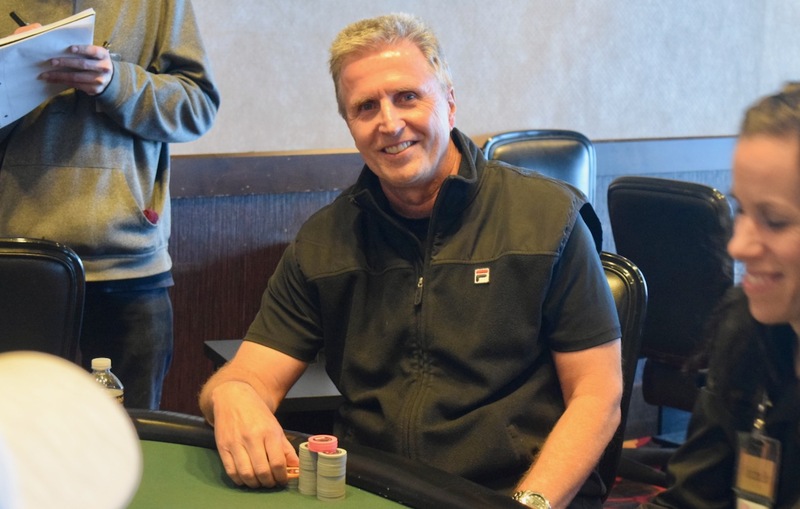 All in for his @HPTpoker @MeadowsCasino Main Event tournament life, @StanJablonski needs help. Jablonski has 9-T on the 8-9-7-5 board, but George Stathers is already there with his 6-7. Jablonski is looking for a 6 of Jack on the river or he will be out in 10th place. There's paint on the river, but it is a Jack and Jablonski bubbles the TV Table, cashing for $6,292. This concludes play for today. The 9-handed final table - on a livestream - starts Monday at noon.